The story describes how Rustic Pathways Foundation Executive Director Andrea Bouch discovered MyIntent. She was traveling in Fiji and noticed a Rustic student wearing a MyIntent bracelet. 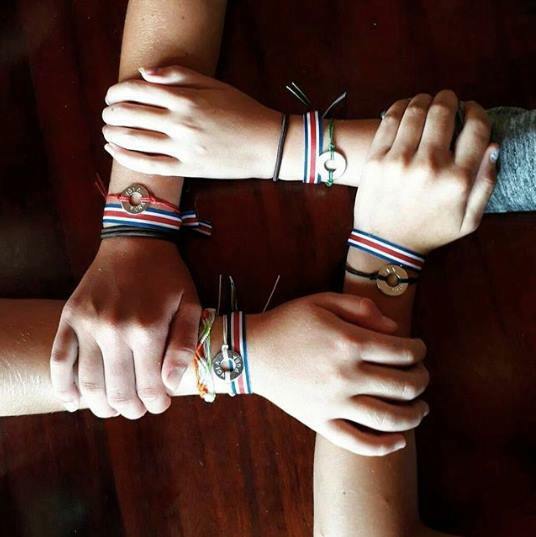 Andrea learned that MyIntent and Rustic share similar visions and decided the bracelets would be a great fundraising tool for the Foundation. The Foundation sells country-specific MyIntent bracelets to raise money for projects in Cambodia, Costa Rica, the Dominican Republic, Fiji, and Peru. Read the full story on MyIntent’s blog. Learn more about how the Rustic Pathways Foundation supports local communities around the world.